Never mind that the new environmental watchdog will have no teeth. Never mind that the government plans to remove protection from local wildlife sites. Never mind that its 25-year environment plan is all talk and no action. We don’t need rules any more. We have a pouch of magic powder we can sprinkle on any problem to make it disappear. This powder is the monetary valuation of the natural world. Through the magic of the markets, we can avoid conflict and hard choices, laws and policies, by replacing political decisions with economic calculations. Almost all official documents on environmental issues are now peppered with references to “natural capital” and to the Natural Capital Committee, the Laputian body the government has created to price the living world and develop a set of “national natural capital accounts”. The government admits that “at present we cannot robustly value everything we wish to in economic terms; wildlife being a particular challenge.” Hopefully, such gaps can soon be filled, so we’ll know exactly how much a primrose is worth. The government argues that without a price, the living world is accorded no value, so irrational decisions are made. By costing nature, you ensure that it commands the investment and protection that other forms of capital attract. This thinking is based on a series of extraordinary misconceptions. Even the name reveals a confusion: natural capital is a contradiction in terms. Capital is properly understood as the human-made segment of wealth that is deployed in production to create further financial returns. 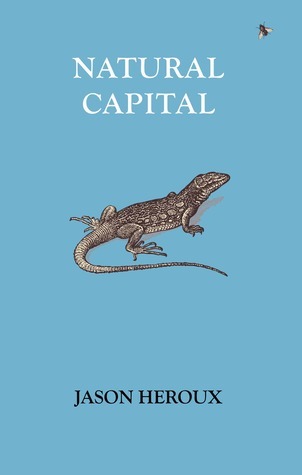 Concepts such as natural capital, human capital or social capital can be used as metaphors or analogies, though even these are misleading. But the 25-year plan defines natural capital as “the air, water, soil and ecosystems that support all forms of life”. In other words, nature is capital. In reality, natural wealth and human-made capital are neither comparable nor interchangeable. If the soil is washed off the land, we cannot grow crops on a bed of derivatives. A similar fallacy applies to price. Unless something is redeemable for money, a pound or dollar sign placed in front of it is senseless: price represents an expectation of payment, in accordance with market rates. In pricing a river, a landscape or an ecosystem, either you are lining it up for sale, in which case the exercise is sinister, or you are not, in which case it is meaningless. Still more deluded is the expectation that we can defend the living world through the mindset that’s destroying it. The notions that nature exists to serve us; that its value consists of the instrumental benefits we can extract; that this value can be measured in cash terms; and that what can’t be measured does not matter have proved lethal to the rest of life on Earth. The way we name things and think about them – in other words the mental frames we use – helps determine the way we treat them. As the cognitive linguist George Lakoff points out, when you use the frames and language of your opponents, you don’t persuade them to adopt your point of view. Instead you adopt theirs, while strengthening their resistance to your objectives. Lakoff argues that the key to political success is to promote your own values, rather than appease the mindset you contest. The natural capital agenda reinforces the notion that nature has no value unless you can extract cash from it. Dieter Helm, who chairs the government’s preposterous committee, makes this point explicit: the idea that nature has intrinsic value, independent of what humans can take from it, he says, is “dangerous”. But this dangerous idea has been the motivating force of all successful environmental campaigns. The commonest response to the case I’m making is that we can use both intrinsic and extrinsic arguments for protecting nature. The natural capital agenda, its defenders say, is “an additional weapon in the fight to protect the countryside”. But it does not add, it subtracts. As the philosopher Michael Sandel argues in What Money Can’t Buy, market values crowd out non-market values. Markets change the meaning of the things we discuss, replacing moral obligations with commercial relationships. This process corrupts and degrades our intrinsic values and empties public life of moral argument. So who will resist this parched, destructive mindset? Not, it seems, the big conservation groups. In this month’s BBC Wildlife magazine, Tony Juniper – who in other respects is an admirable defender of the living world – reveals that he will use his new post as head of campaigns at WWF to promote the natural capital agenda. Perhaps he is unaware that in 2014 WWF commissioned research to test this approach. It showed that when people were reminded of the intrinsic value of nature, they were more likely to defend the living planet and support WWF than when they were exposed to instrumental and financial arguments. It also discovered that using both arguments together produced the same result as using the financial argument alone: the natural capital agenda, in other words, undermined people’s intrinsic motivation. Has this been forgotten? Sometimes I wonder whether anything is learnt in conservation, or whether the big NGOs are forever destined to follow a circular track, endlessly repeating their mistakes. Rather than contributing to the alienation and disenchantment the commercial mindset fosters, they should help to enrich our relationship with the living world. The natural capital agenda is the definitive expression of our disengagement from the living world. First we lose our wildlife and natural wonders. Then we lose our connections with what remains of life on Earth. Then we lose the words that described what we once knew. Then we call it capital and give it a price. This approach is morally wrong, intellectually vacuous, emotionally alienating and self-defeating. Those of us who are motivated by love for the living planet should not hesitate to say so. Never underestimate the power of intrinsic values. They inspire every struggle for a better world. Previous Post How Much Are You ‘Smoking’ by Breathing Urban Air?